After disrupting the telecom sector with Jio, Reliance has decided to venture into the e-commerce sector of India. Reliance Industries Limited (RIL) chairman Mukesh Ambani has announced that it’ll soon launch the online retail platform in collaboration with Reliance Retail, RIL’s offline retail subsidiary in the country. Aiming to take on bigwigs Flipkart, Paytm, and Amazon, Reliance will first roll out its e-commerce platform in Gujarat for small retailers and shopkeepers. “The new e-commerce platform will empower and enrich our 12 lakh small retailers and shopkeepers in Gujarat,” said Ambani during the inaugural ceremony of Vibrant Gujarat Global Summit 2019. The company will kick off the new ‘offline-to-online’ platform in the next 12 to 18 months, an unidentified source familiar with the matter told Bloomberg Quint. 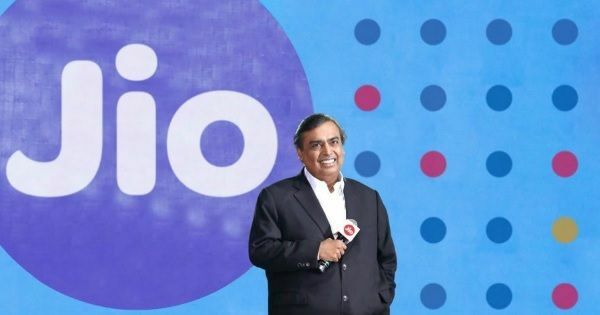 The report further mentions that the Reliance’s upcoming e-commerce platform will combine (few) services from Jio cellular network and the company’s retail presence. While there’s little to no information available about the venture at the moment, the announcement comes at a time when Amazon and Walmart-backed Flipkart are trying to fight the new government regulations that they claim could affect their business. Both e-commerce sites have their own wholesale entities that provide goods to merchants who sell them to their marketplace. However, the new rules limit the number of goods (not more than 25 percent) from foreign companies sold by a company affiliated with the marketplace. “The Reliance e-commerce will not have to comply with the restriction as it’s an Indian company,” noted Satish Meena, an analyst at Forrester Research (Financial Times report). However, breaking into the e-commerce segment will be a tough nut to crack. The Reliance Industries Limited will face the onslaught from Amazon and Flipkart – both of which enjoy a superior position in the market, followed by Paytm and Snapchat.